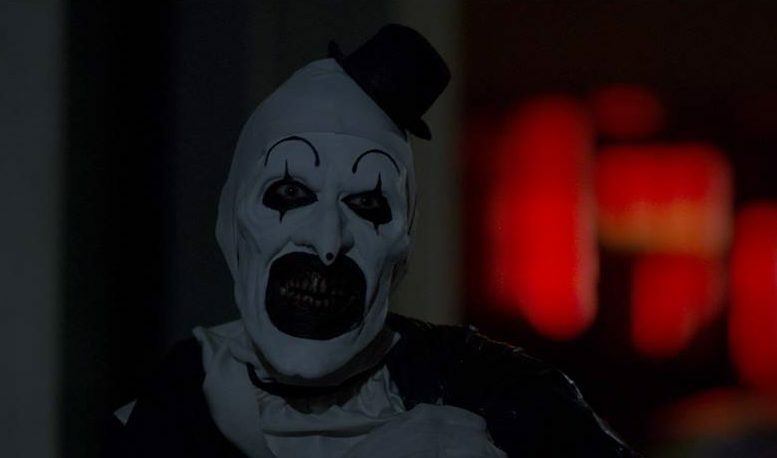 Art the Clown is back in our first look at the new All Hallows’ Eve spin-off Terrifier! Though there was an official sequel called All Hallows’ Eve 2 released in 2015, again an anthology of Halloween stories, it did not feature the vicious Art the Clown popping in and out of each of the shorts. But Art is finally back in a very brief gif posted on Damien Leone’s Twitter this afternoon, which you can view below, as well as the original announcement teaser from last summer and a killer gallery of images released so far! We have very little details available on Terrifier, other than the obvious fact that Art the Clown is back and bloody, and it once again takes place on Halloween night.